Post acute withdrawal (PAW) also know as post acute withdrawal syndrome and protracted withdrawal, is the phase of addiction after acute withdrawal is over. According to the Substance Abuse Mental Health Service Administration’s Advisory, PAW occurs after the acute withdrawal phase and can last up to two years after the acute withdrawal phase of recovery. PAW is particularly dangerous because of the emotional symptoms a user experiences. During this time users are subject to relapse. In order to avoid the pitfalls of PAW, recognizing the symptoms, risks, and types of treatments available is extremely important. 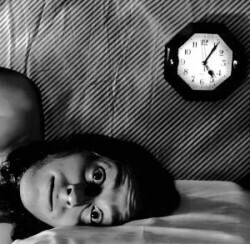 One symptom of post acute withdrawal is insomnia. These symptoms are primarily psychological in nature where acute symptoms are usually both psychological and mental. Some of the symptoms are less tangible. The social stigma and financial issues that result from many drug addictions continue throughout this phase. Many addicts use this time to correct their situations and make up the family members and friends that they have lost. The risks of post acute withdrawal vary depending on the drug of choice. There is always the risk of relapse during a PAW episode. Some people have periods with PAW where they are fine without the drug and then the cravings and issue other issues come back suddenly. According to the National Institute on Drug Abuse, the symptoms and risks associated with PAW are due to long term changes in the brain. These changes are due to prolonged exposure to the drug. Sometimes it damages or permanently changes the receptors. When this happens, it takes either a replacement or a long time to get over the addiction. During this time the risk of returning to the drug or picking up a new drug habit are very high. The brain views the drug as a need and the opposite effects of taking the drug happen. If the drug is an opiate, then pain develops or if the drug is a stimulant fatigue develops. Doctors treat many of the post acute withdrawal symptoms on an outpatient basis. They provide medications to combat the mental issues such as depression and anxiety as well as replacement drugs like methadone. There is also outpatient counseling services for PAW. Behavioral therapy often continues well into this phase of addiction. Nothing happens quickly and this phase is the time to take care of many of the reasons why addiction started in the first place. The counseling and behavioral therapy help the addict learn coping and other life skills. After the acute withdrawal phase, it is possible to remain inpatient for a few weeks during the beginning of the protracted withdrawal phase. This is normally when mental health issues are identified and treatment for them begins. A doctor may recommend inpatient or partial inpatient (sober living facilities or halfway houses). This helps the addict adjust to being drug free and rebuild their lives with structure and balance. Inpatient care for post acute withdrawal is usually short and is a time where the addict can learn how to live without their drug of choice. Not everyone is a good candidate for this treatment. Develop good habits – during acute withdrawal, just getting over the symptoms is hard. During PAW, work on developing healthy habits and alternatives to addiction. Learn to relax – learn relaxation techniques such as deep breathing to calm over excited nerves or help with depression. Take care of yourself –keep a positive attitude and take a break sometimes. Do not dwell on the withdrawal but work on improving yourself. Exercise – develop good exercise habits. Not only does exercise give off a natural high, it helps to keep a person in shape. Eat healthy – keeping the body balanced with good nutrients is essential to combating both cravings and the emotional symptoms. Do not hurry – recovery and developing alternative habits takes time. Remember that it will stop eventually; nothing can be gained from rushing recovery. Not many doctors and scientists focus on the post acute phase of withdrawal. Since it is the longest phase of addiction knowing how to combat its effects are extremely important. Relapse can happen at any time but by understanding the symptoms, treatments, and risks of post acute withdrawal, you can develop the survival skills to avoid a full or partial relapse. Although each person is different, developing healthy habits and coping skills can help an addict stay clean and learn to live without the crutch they found using their drug of choice. Post acute withdrawal should be a time of learning how to be you again not a constant struggle.